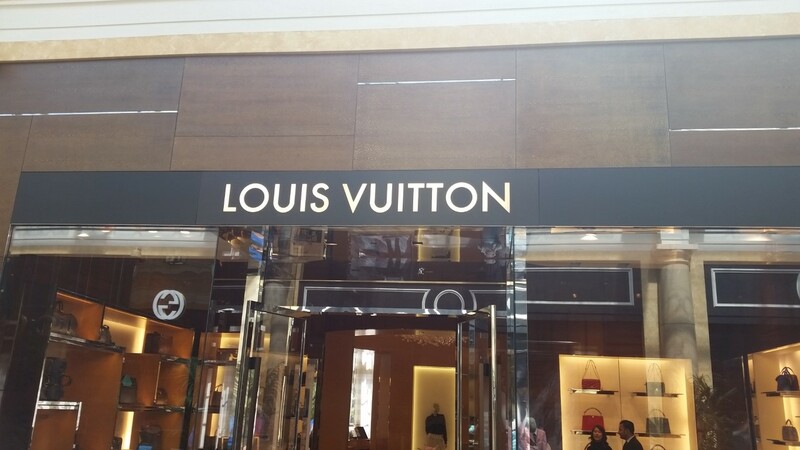 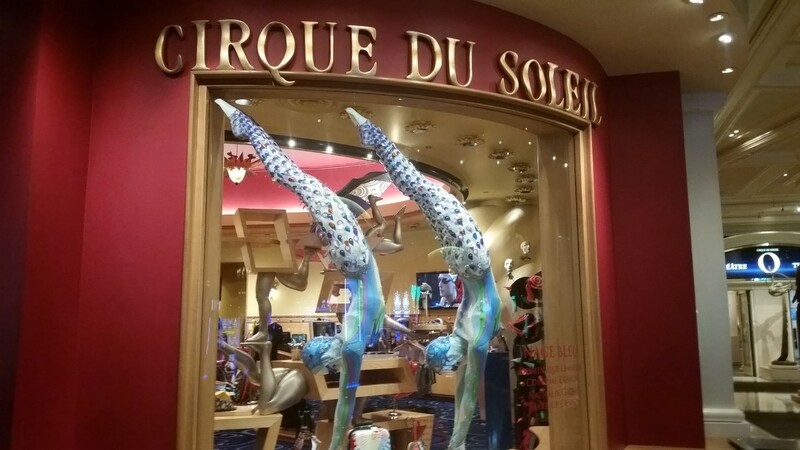 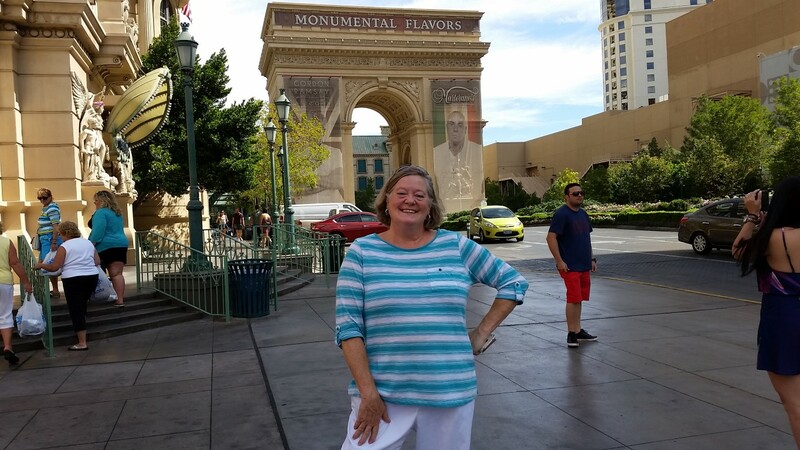 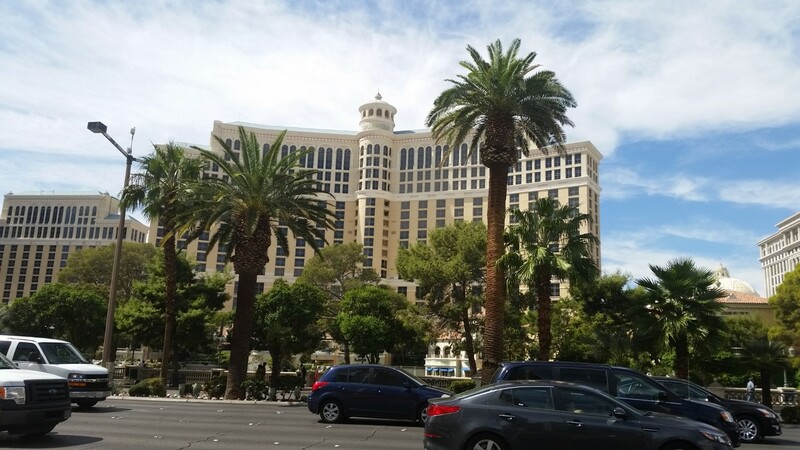 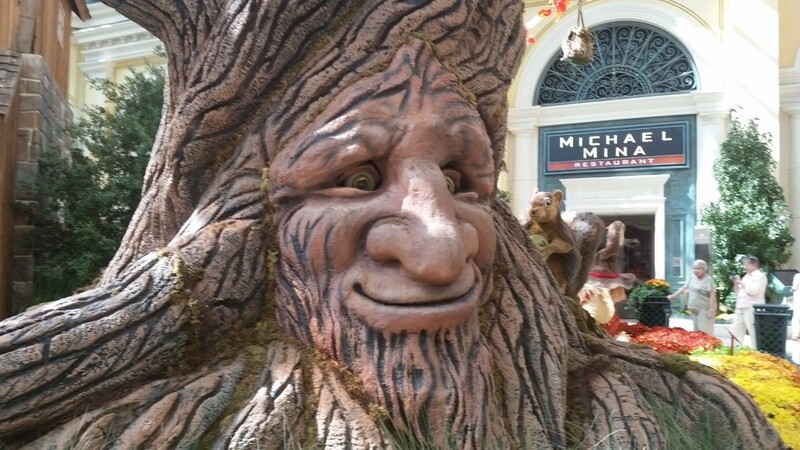 Friday, October 2, 2015 – We parked at the Bellagio Casino and Hotel for our second day of Vegas Strip gawking! 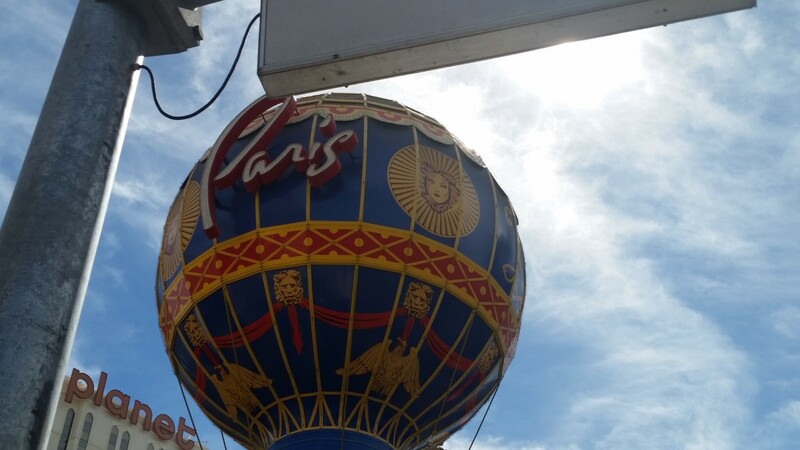 Parking is free at the casinos and was very easy to get in and out of plus we parked on the first floor! 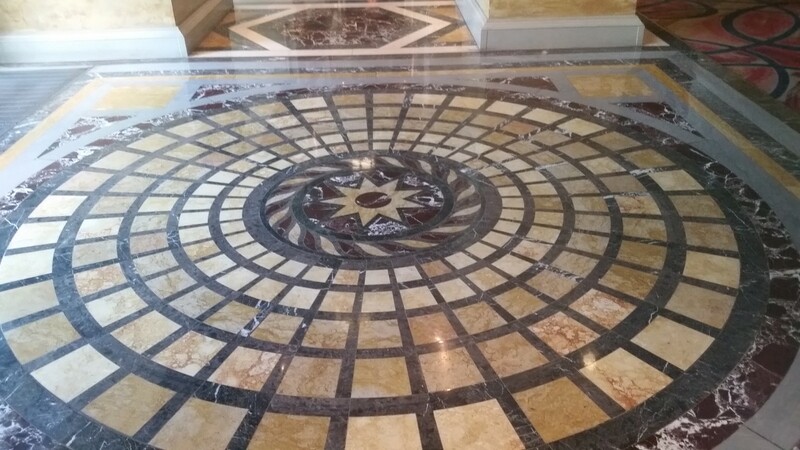 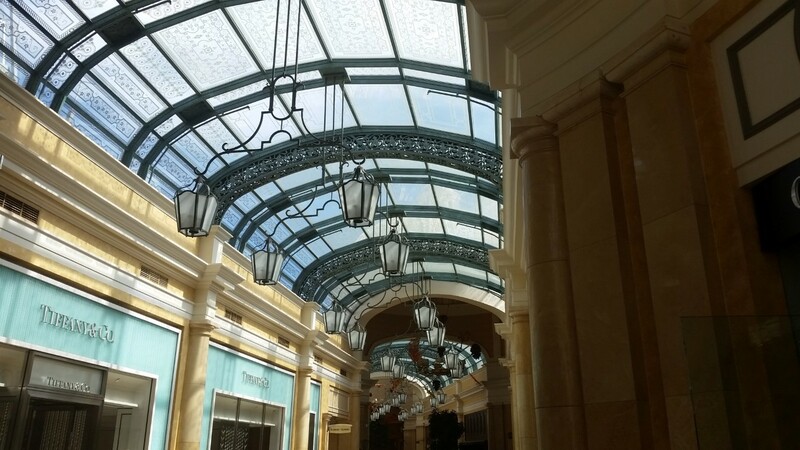 The Bellagio is a magnificently beautiful place where everywhere you look you’ll see top quality everything. 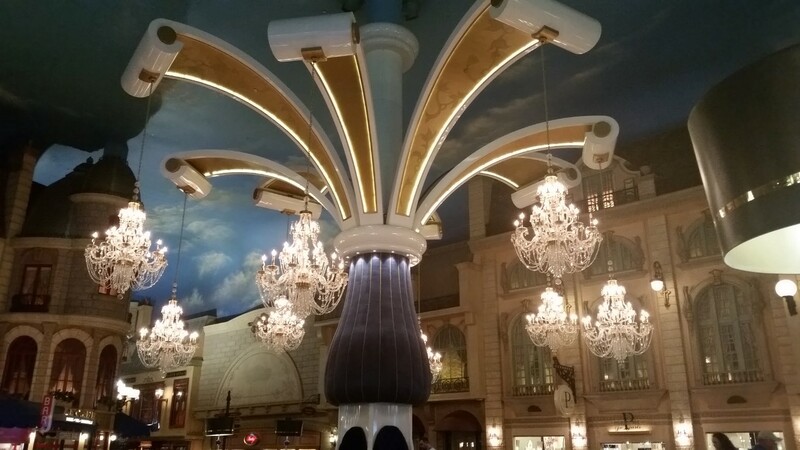 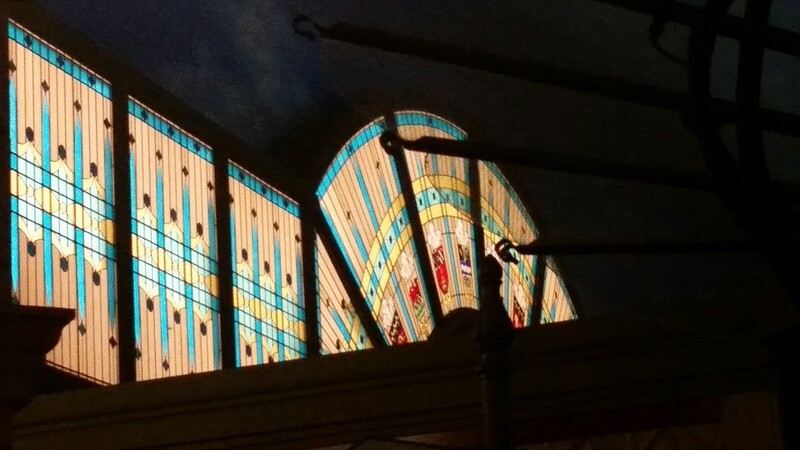 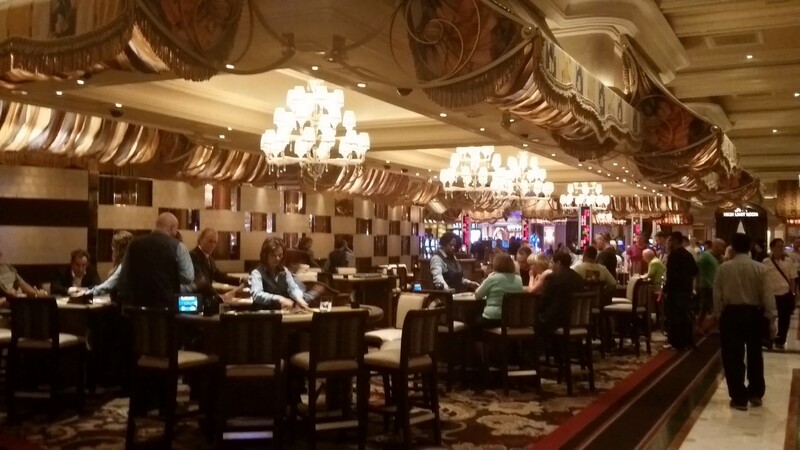 Something to remember when looking at the pictures of any of the casinos is that it is somewhat a little dark inside so photos may not be their highest quality. 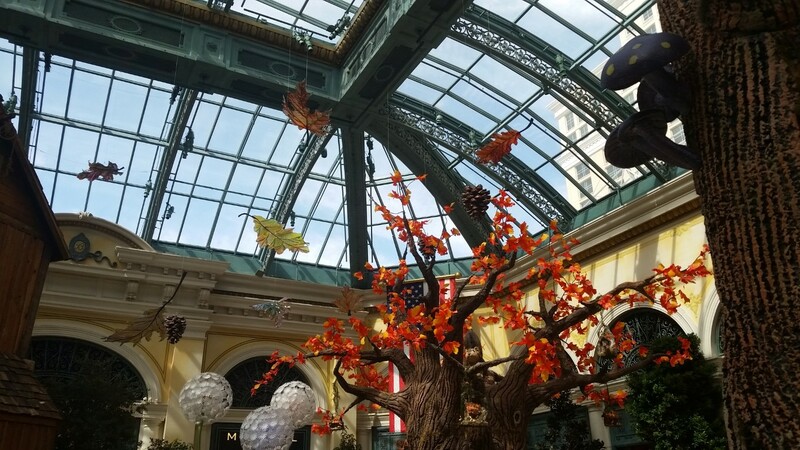 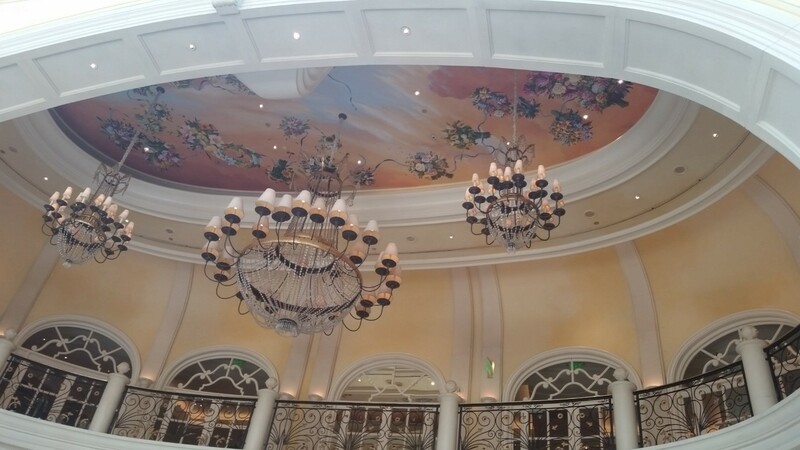 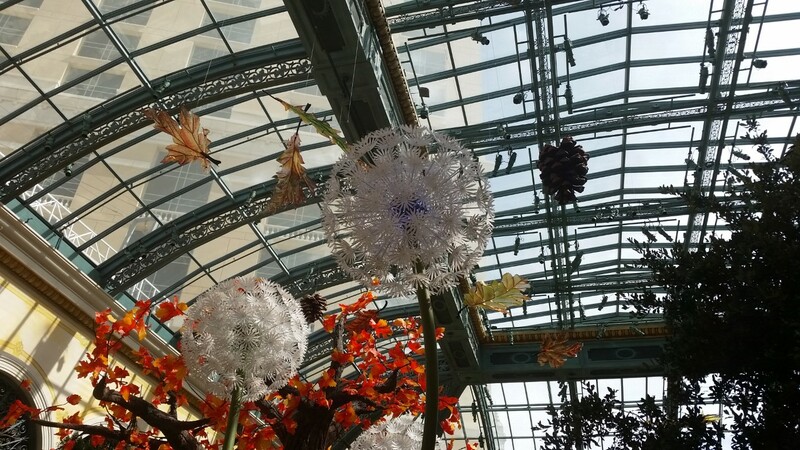 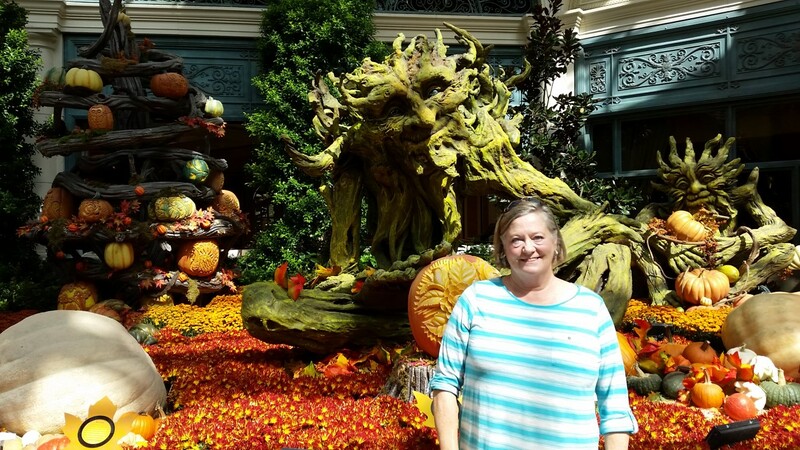 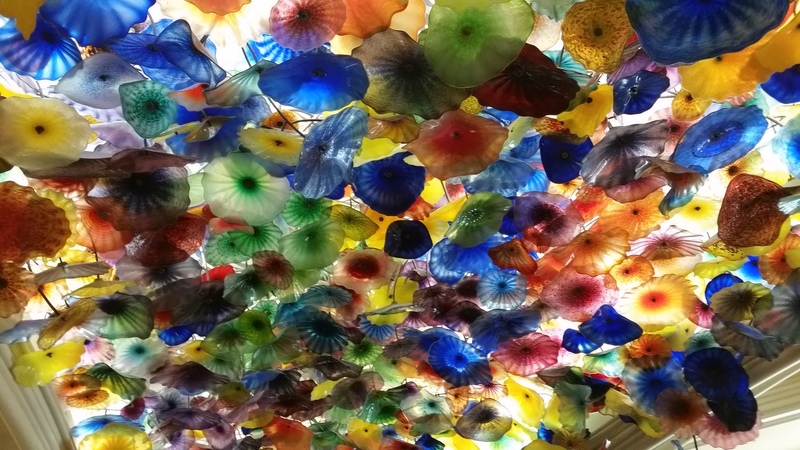 We enjoyed walking through the Bellagio and seeing its beauty but mostly liked the multi colored glass flowered ceiling and the Conservatory and Botanical Gardens. 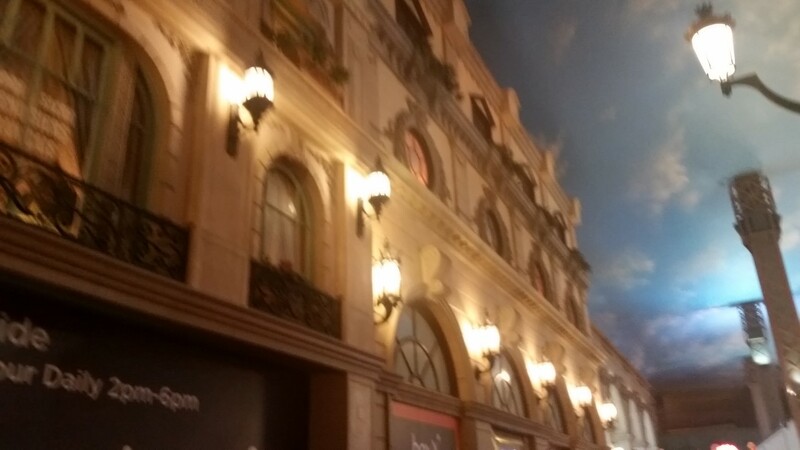 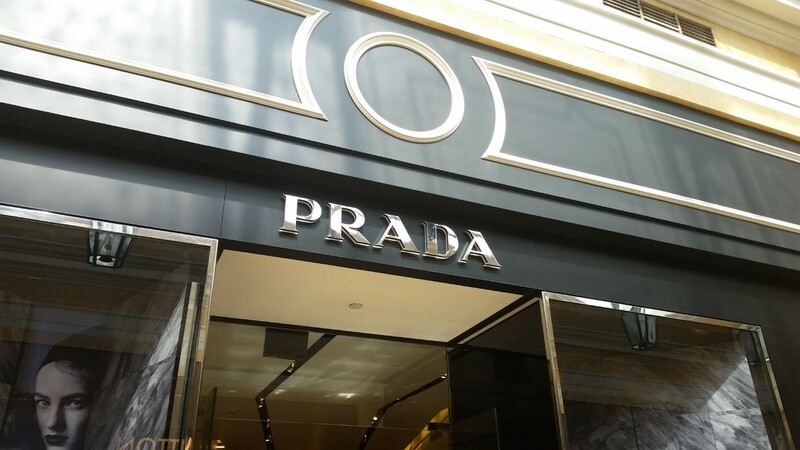 The three well known shops were just a tiny smidgen of the total well known high class shops in the Bellagio. 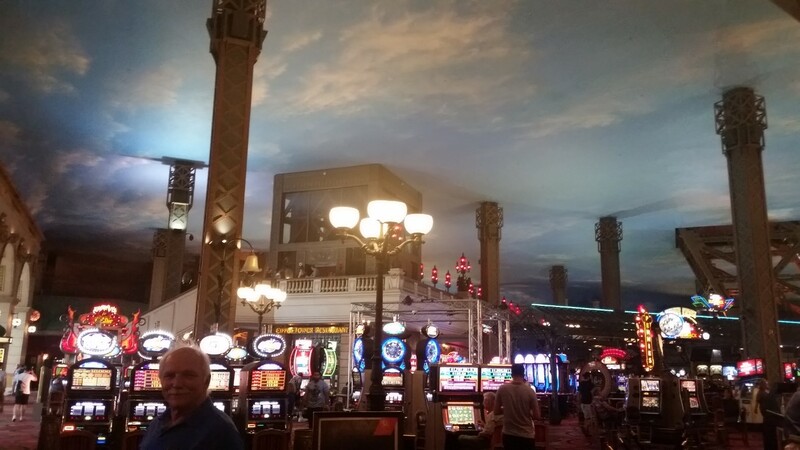 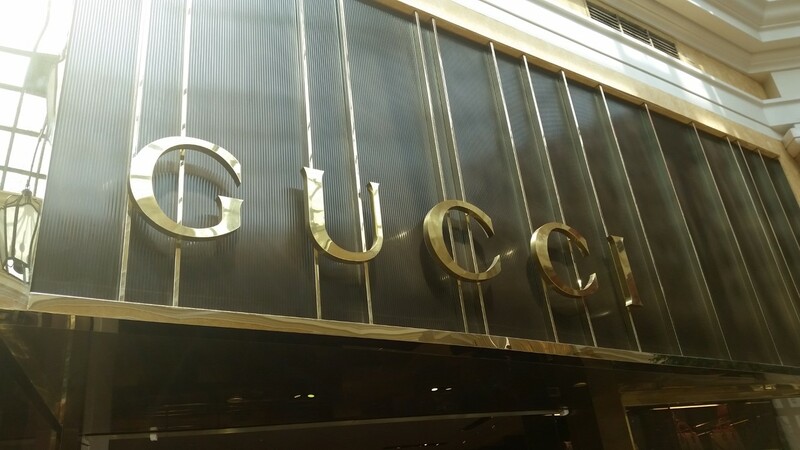 It was the second largest casino we visited. 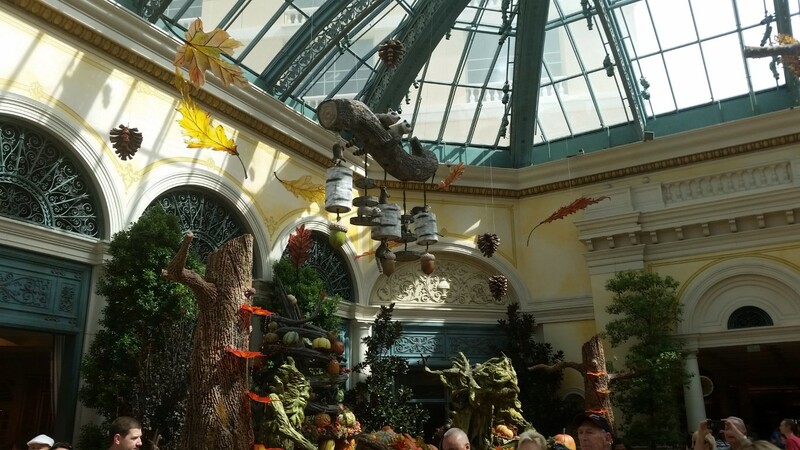 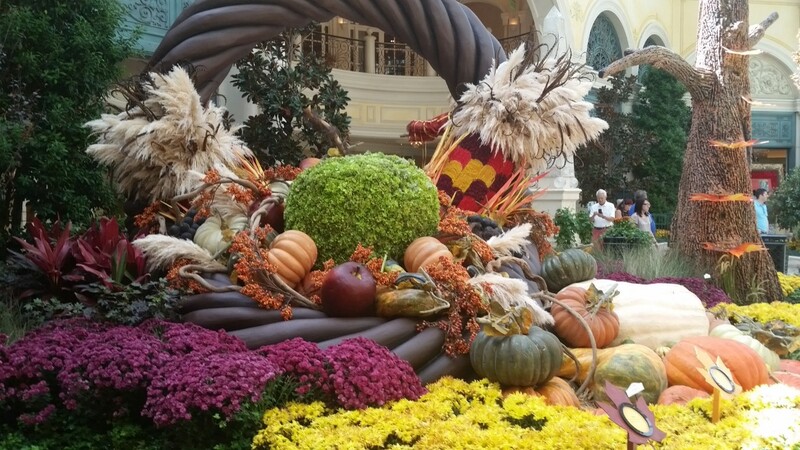 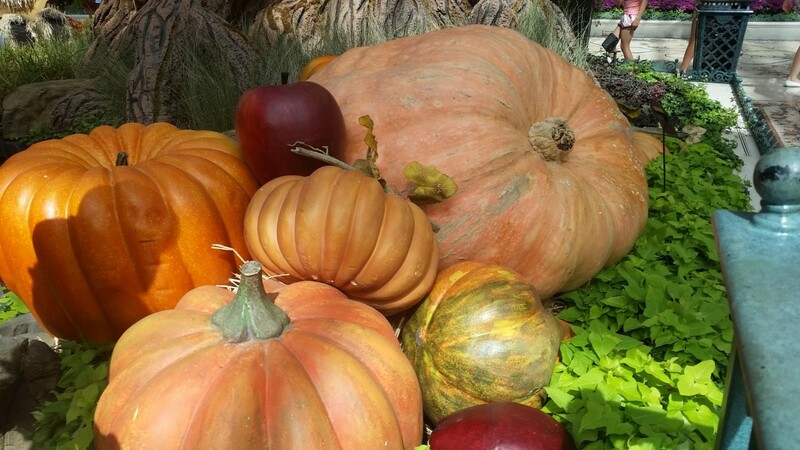 The Bellagio Conservatory and Botanical Garden is currently decorated for fall and was a really beautiful area in the middle of the casino/hotel. 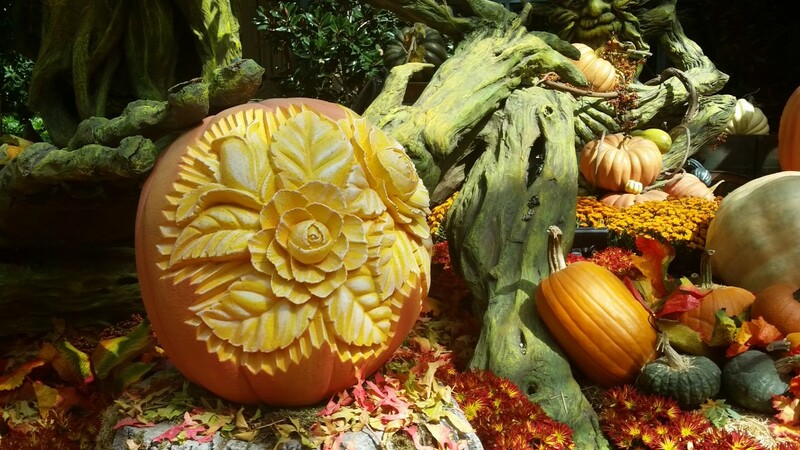 The giant pumpkin you’ll see below is real. 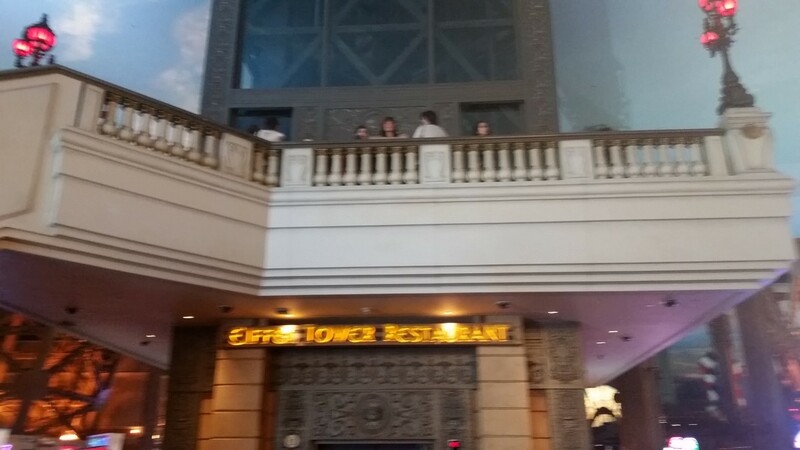 The others in the photo are not. 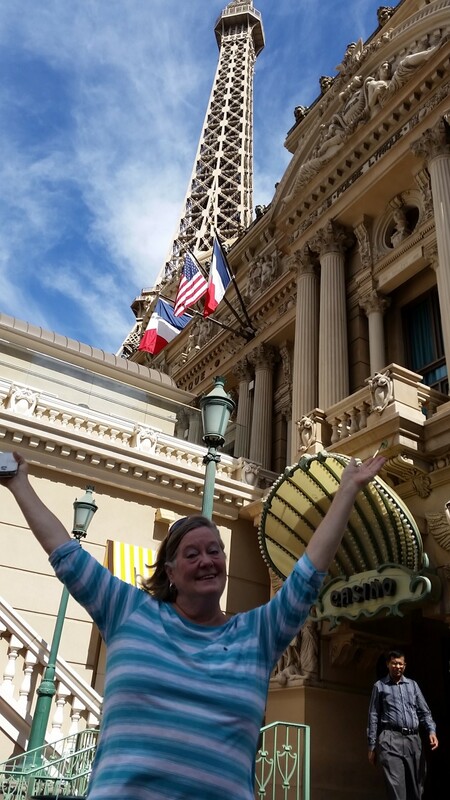 Next on today’s adventure was the Paris Casino and Hotel. 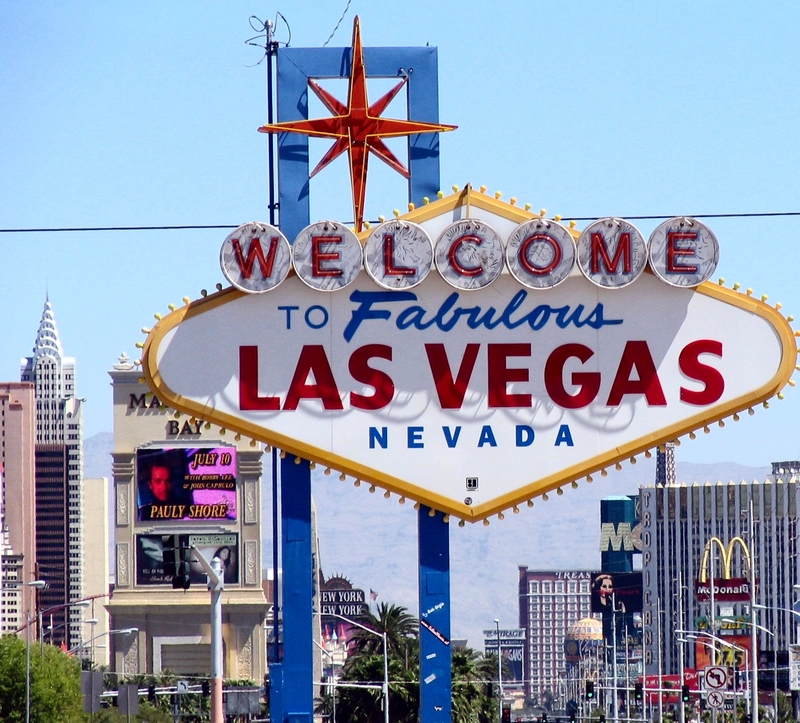 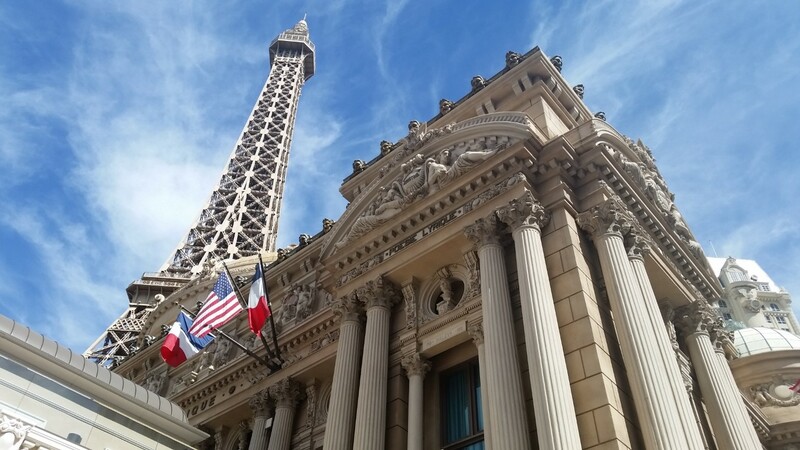 Outside of the Paris Casino and Hotel are some of Paris’ greatest landmarks right on the Las Vegas Strip. 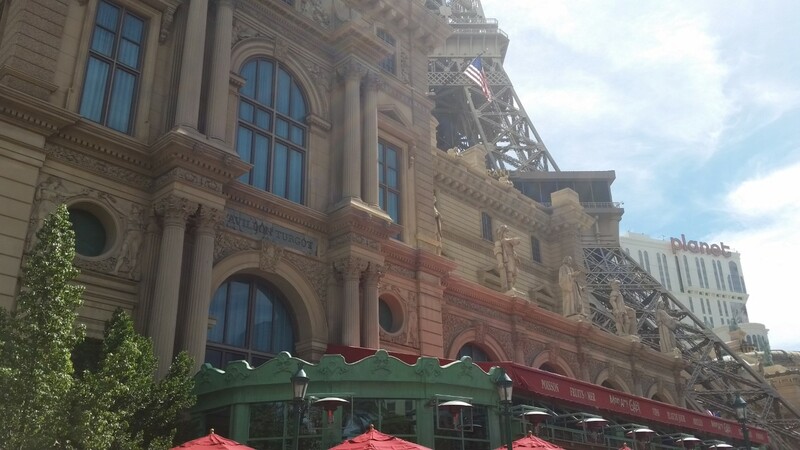 Replicas of the Eiffel Tower, the Arc de Triumph, the Louvre, the Parish Opera House, and the Hotel de Ville. 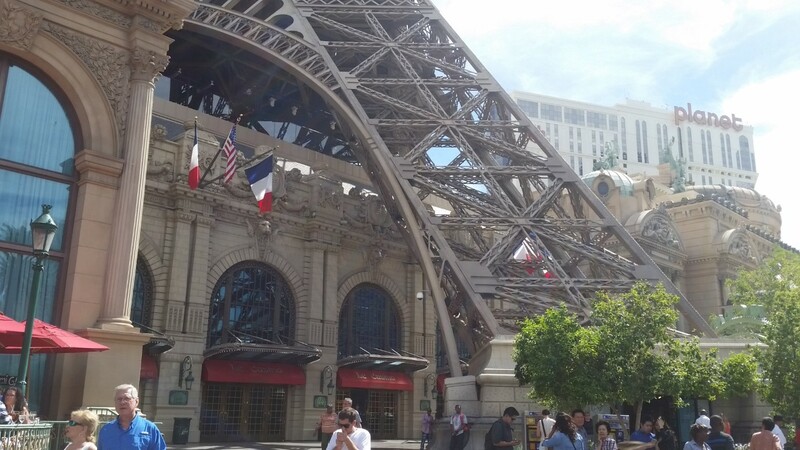 Here are some of the outside photos. 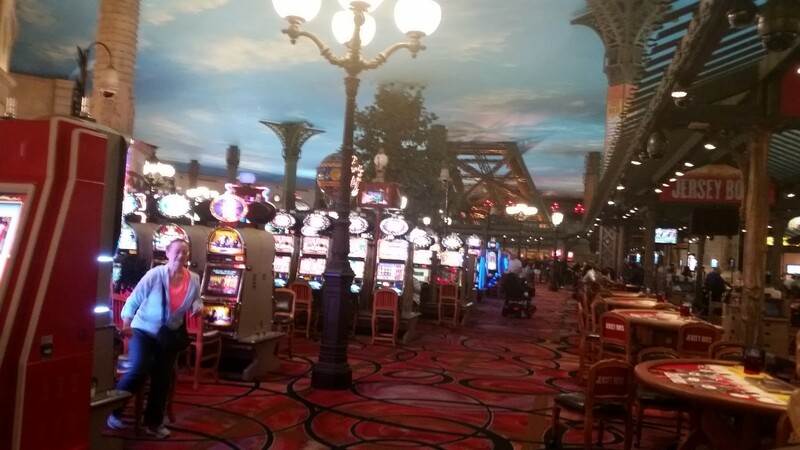 The interior was very much like walking through the streets of Paris with tons of slots and other gambling games mixed in. 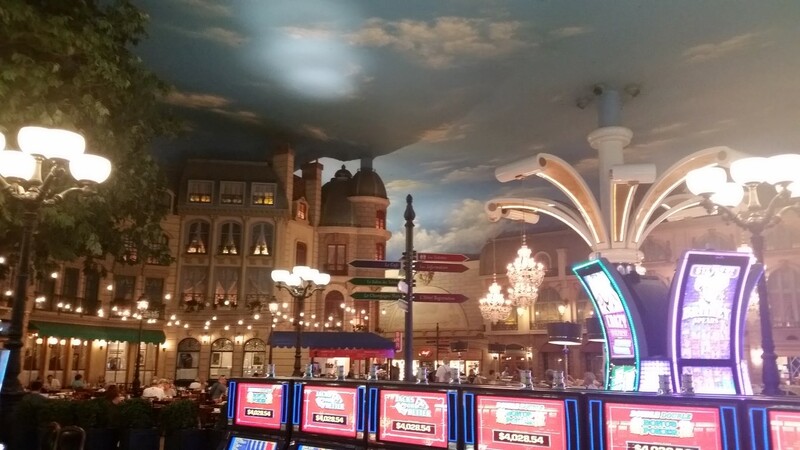 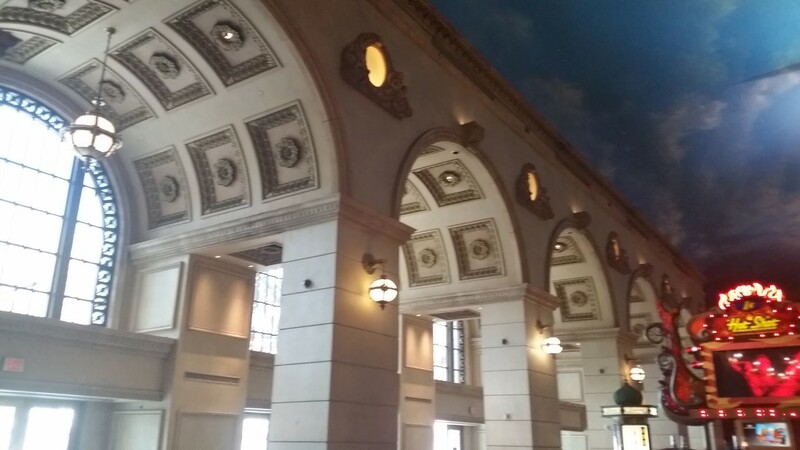 The ceiling is painted like a blue sky with white clouds which is really neat. 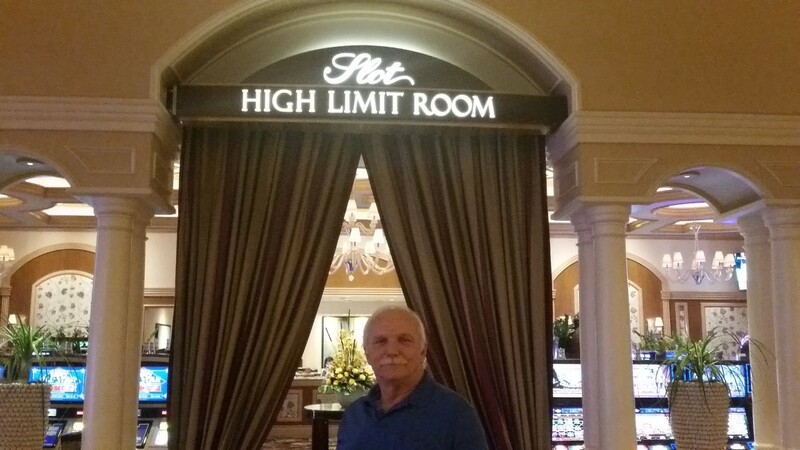 Roy bet $1 in the penny slots and came away with $6!!!!! 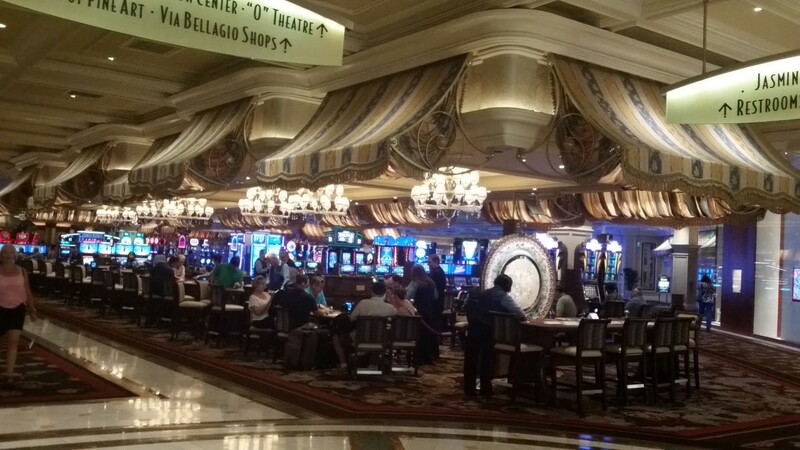 Well that’s enough casinos for today. 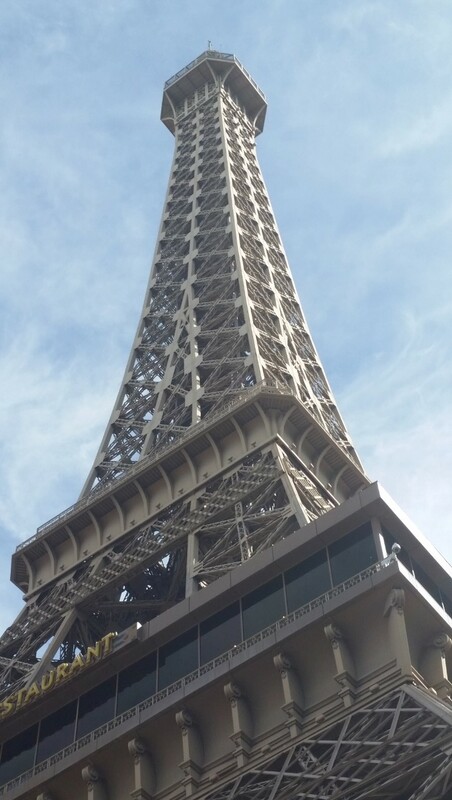 Several more to come! 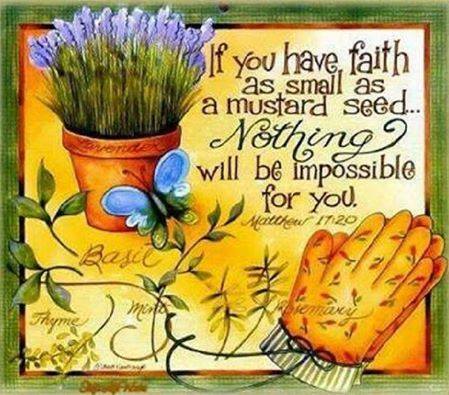 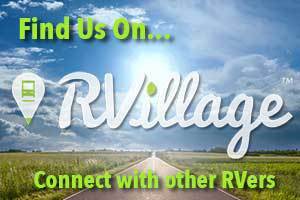 Remember you’re walking the 5 mile walk plus walking around inside with us! 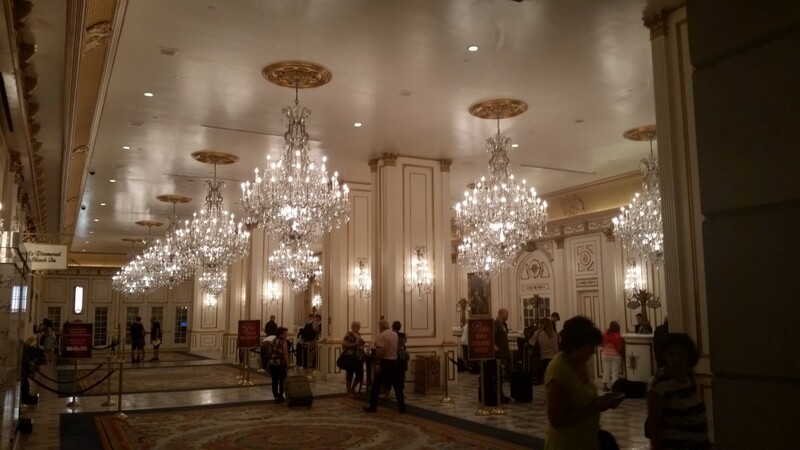 < 10.01.15 The Chauvins are High Rollers!